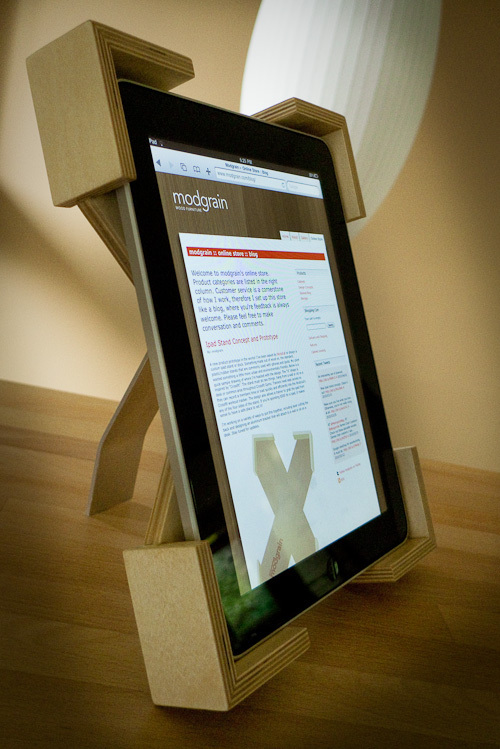 Project update: The Wood Ipad Stand prototype is in final stages of development. I’m just ironing out a few design details for my client and estimate a couple weeks before I take additional orders. Two changes that I’m working on are a lighter 1/4 inch back and a easier to use swivel/bolt/knob solution for attaching the aluminum stand. I’m also considering supplying a anti-slip pad that ships with the stand. Options will be available � from plywood edges to hardwoods. 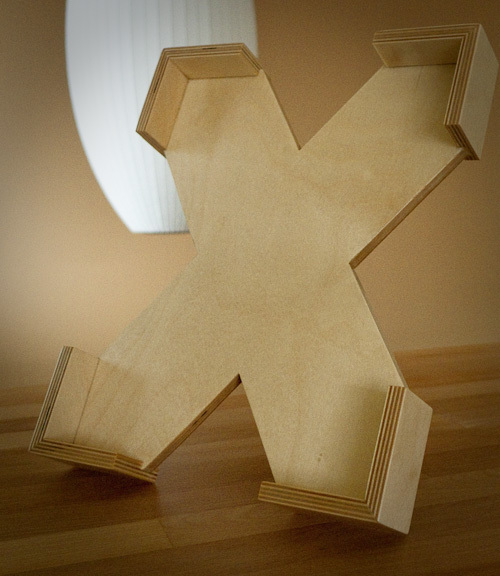 Project update: We are taking orders for our new Ipad Stand. Thanks to Crossfit NW and Wodclub for their initial orders.